My birth date puts me firmly within the generation that grew up with computers and smartphones, yet I sometimes feel like an anachronism. I’ve watched some of my favorite things (books, magazines, bookstores) and my chosen profession (print journalism) become threatened by digitalia, and the cycle isn’t stopping. In a recent column, Car and Driver’s Aaron Robinson chronicled the demise of hobby stores. Yet another analog activity bites the dust. I guess I’m lucky that my local hobby store isn’t affected by this trend. 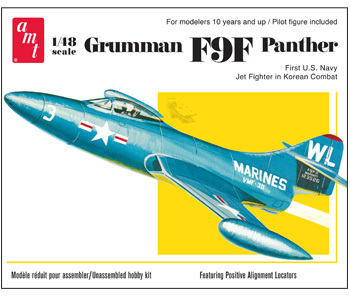 I’ve got a 1971 Dodge Charger plastic model kit on my workbench right now, with a Cold War-era guided missile cruiser and an F-104 Starfighter in the queue. Given that the death of print books has been forecast for several years and Barnes & Noble is still open, I won’t be running down to the hobby shop to clear the shelves like a crazed prepper just yet. Still, it never feels good to have one of your passions make the transition from mainstream to old fashioned. Sometimes, it makes me feel like I missed the boat on the digital revolution, but only just. When I purchased by first SLR camera in 2001, digital SLRs were extremely expensive and 35mm film was still putting up a fight in the battle for relevance. I also remember the typewriter my dad used to use for word processing. That’s why I still prefer to shoot with film, draw with a pencil, read a physical book, and assemble plastic toys for fun. Like many older people who are expected to have a fondness for such things, I can truthfully say that I grew up with this stuff. “At 43, I don’t feel ready to be called “old school,’” Robinson said in his Car and Driver column. At 25, I feel the same way. For those of you who don’t live in an imaginary universe, today is First Contact Day. In the Star Trek mythos, Humans and Vulcans first met on April 5, 2063, after the inaugural warp flight of Zefram Cochrane’s Phoenix caught the attention of a Vulcan survey ship. In honor of First Contact Day, I’d like to (try) to explain what I love about Star Trek the most. It’s not the aliens or the reliable sound effects, it’s that Star Trek depicts an ideal society that we should all work to make real. 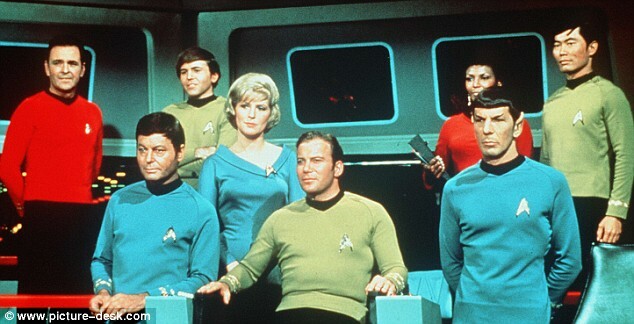 Here are five things that make living in the Star Trek universe better than living in reality. Obviously, this is a good thing. Money might make the world go ‘round in 2013, but it would be pretty sweet to live in a world without poverty in 2213. Also, because it will never have to worry about paying bills again, humanity can become more goal-oriented. How many investors do you think would be interested in financing construction of a massive starship just so William Shatner can cruise around the galaxy in it? Granted, this isn’t something that can be realistically achieved without a massive technological breakthrough. 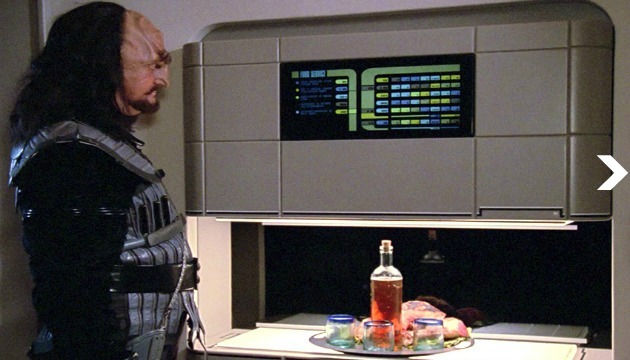 Star Trek’s money-less society relies on matter replicators, which can easily make all of the necessities of life like food, clothing, and even large machines. Since most commodities are infinitely replicable, there’s no point in charging money for them. So far, we’re not even close to building replicators (3D printers don’t count). I read a lot about how robots and computers will eventually replace the human worker, thanks to their efficiency and the fact that they never ask for raises. Star Trek shows us an ideal human-machine relationship and, while the machines do a lot of the heavy lifting, humans are still doing the work. Every Trekkie recognizes the voice of Majel Barrett-Roddenberry, because she’s the audio talent behind every starship computer. These computers do plenty of things: they operate systems, run diagnostics, and conduct database searches. But they don’t do that on their own: Starfleet officers are always telling the computers what to do, and analyzing the information they provide. If it were any other way, there would be no point in sending the Enterprise on a five-year mission of exploration; a robotic probe would be much cheaper. Starfleet even has an android officer, Data, but all he wants is to be human. That’s the right attitude. The Federation doesn’t just explore space to gather data, it explores to give people the opportunity to see new things. That’s why the Enterprise’s helmsman puts the ship into Warp 9, even if a computer is actually firing up the engines. The result of a money-less society and healthy amounts of automation is that people are able to do things because they want to. No one in Star Trek takes a job because they need health insurance, and they have plenty of free time to enrich themselves. 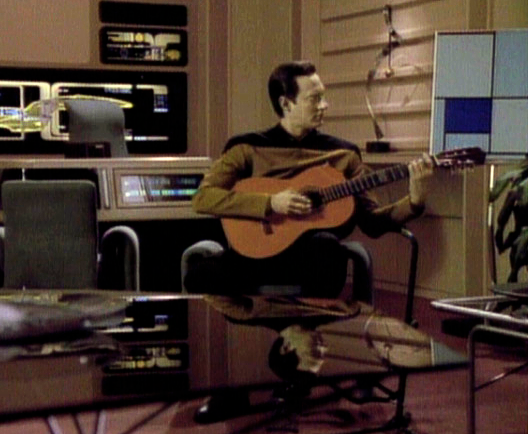 It’s amazing how many people on every incarnation of the Enterprise are musicians, artists, or actors. It’s also cool to think about how wonderful life would be if everyone had time to pursue things like that. A hobby is a great way to take one’s mind of the drudgery of everyday life, and it’s even more enjoyable when there is time to devote to it. Today, it’s hard to conduct recreational pursuits for their own sake because our time is so valuable, but in a future where income and manual labor don’t exist, that won’t be the case. Of course, people will need something more substantial to do. Humanity requires more substantial tasks than cottage industry (sorry, Etsy and Kickstarter) and space exploration is a very substantial task. 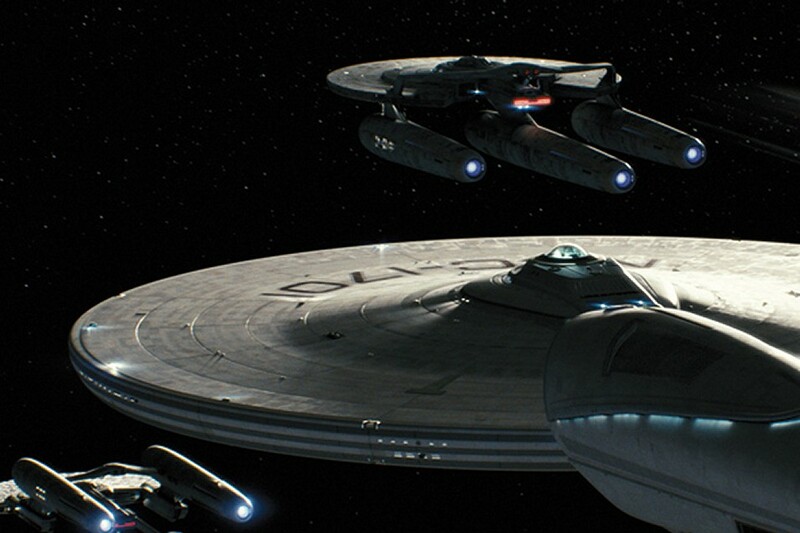 Spacecraft are cool in their own right, but their most important role in Star Trek is keeping people productive. If we no longer need to work for a living, and if we’re displaced from today’s jobs by machines, we can’t just sit around all day posting photos to Instagram. Luckily, Starfleet is very labor-intensive. 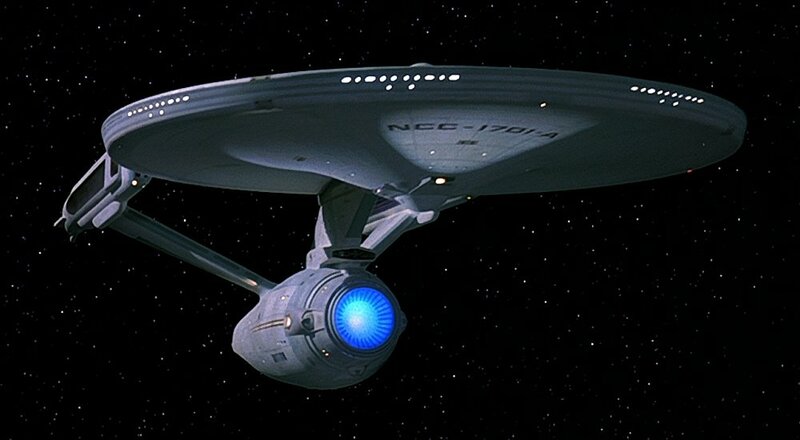 The original USS Enterprise (NCC-1701) had a crew of 432, while the Next Generation-era Enterprise (NCC-1701D) had about 1,000 souls aboard (including civilians). There’s also the armies of people needed to build these things, plus command staff, diplomats, designers, and other Starfleet personnel. Something I find very annoying about life in 2013 is that we constantly talk about how high-tech our society is, but can never find any good uses for that technology. Facebook is fun, but whatever happened to going to the moon, or curing diseases? What we have is a lack of imagination. Gene Roddenberry wasn’t lacking in imagination. He imagined how technology could solve humanity’s greatest problems, and enable its greatest achievements. It wasn’t a realistic vision, but at least it gave us something to shoot for. Restricting ourselves to only thinking of new ways to use existing technology will never advance anything, because its doesn’t give people a reason to. That’s how technological advances happen: people think of something that doesn’t exist, and try to create it. Constantly recycling today’s digital tech won’t do that. Yes, we could have “smart” toothbrushes that play our Pandora stations, but if our predecessors had the same attitude we’d still be riding stagecoaches. No cleverly named app will unite the world, but a ship that can travel faster than the speed of light just might. Maybe we’ll find out in 50 years. I finally got a Twitter account and I’m not really sure why. You should definitely follow me (@SAEdelstein) while I figure that out. I promise it will be entertaining. I’ve never been an early adopter of social media; I usually start by asking “What the hell is this for?” before caving when a critical mass of friends and potential employers start using it. Maybe that’s the source of my confusion. In school, parents, teachers, and Nickelodeon characters were always saying not to do something just because it’s popular, to think independently. That’s hard to do when it comes to joining a social network, because the network isn’t just an activity, it’s a space where social interactions (however artificial) happen. Things were less complicated when work and school were people’s only avenues for socialization. “Because everyone else is doing it” is the primary reason most people join social networks, because they have to go where other people are. If a site is popular enough, it doesn’t matter whether the medium is 140-character messages or protein exchanges. It develops a gravitational pull of sorts that attracts more users. Of course, it’s important not to put too much emphasis on Twitter or any other social media site. Users can post as much or as little as they want, but there is a difference between using a site and getting something out of it. Being a late adopter is like walking through a conquered land. The hordes of discordant posts given the barest sense of order by warlord-like influencers with their thousands of followers hint at the possibilities, but remind you that, because someone has already figured out how to work the system, they’re limited. Social media really isn’t a new frontier for human consciousness, it’s just the same routine as ever, digitized and compressed. The medium itself is where the innovation is: people are and will continue to use it to create new ways of expressing ideas. Is that the same as fundamentally changing the way people socialize, though? if not, do we still have a choice to opt out, or will we be obligated to join the next new network, and the one after that? They used to say “trust no one over 30,” and I guess that means I can’t be trusted. I’m not over 30, but I seem to have the mentality of someone who is beyond their 20s. Twenty-somethings have run afoul of the New York Times a lot lately. In one post I read recently, the author described the Times as “conservative” and “on the wrong side of history” for criticizing the Millenial lifestyle. It wasn’t just shocking to hear a paragon of liberalism like the Times being referred to as conservative, it was the thought that modern tech is defining who we are. I’m a 20-something, but I sometimes feel like I’m on the wrong side of history. I use digital tech to work and communicate, but I often wonder if society isn’t paying a price for all of the convenience it offers. Of course, everyone gets annoyed by the constant barrage of e-mails and Facebook statuses once in awhile, but what really bothers me is the feeling that, whatever people think about tech, and whatever legitimate evidence of its flaws comes to light, we’ll continue plunging head-first into a wired future. We don’t have a choice. I love writing this blog, and I love being able to keep in touch with far flung friends with social media. However, I also love print books, and my flip phone. I don’t love the idea of paying my bills online, and risking all sorts of digital skullduggery. I often read that the Internet and smart devices are creating unheard of opportunities for innovation, that they are tools that can change the world. But for something that can do all of that, it comes with an awful lot of rules. Living in the Digital World requires a different set of skills; it doesn’t completely level the playing field. As with anything else, some people are better at it. Those who can express themselves in 140 characters, attract followers, and read the data will always succeed. Those who can’t will fail. I guess this is second nature to some people, but it quickly drains the romance from the digital frontier. Whenever I engage a new medium, it seems like someone’s already figured it out before me. So what’s required is conformity, not innovation. I’m sure there are others more brilliant and courageous than I who can bend these mediums to their will and truly innovate, but it’s completely false to believe that everyone can automatically do the same because of some inherent quality of the technology. I sincerely hope that technology leads us to a better future. I hope that someday, our reality is like Star Trek. I just have a hard time seeing how to get from here to there, and I have a hard time imbuing technology with that much significance. Yes, it’s new and popular but at one time, so was the steam engine. In college, I had a writing teacher who said that, if you have a column or blog, you can write about having nothing to write about. But you can only do it once. For this blog, I’m saving that free pass for rainy day. However, I thought it would be interesting to discuss where ideas come from and how original they need to be. I’ve always thought that the best way to come up with ideas for news and feature stories is to draw on experience. Talking to sources, finding out what’s actually happening, or learning about an important trend are the essence of journalism. That’s why it’s called reporting, after all. What happens when you can’t be near the source, though? Or if you don’t have a monopoly on it? The Internet has dramatically changed how news is reported, especially when it’s related to industry, politics, or other subjects that don’t have a geographic base. Here’s an example: If Ford wants to show off a new car, it will probably unveil it at a major auto show in front of the world’s press, but it will simultaneously post all of the vital information on the car on its website. That means every media outlet, even ones that didn’t send reporters to show, has access to the same information (assuming the bigwigs don’t take questions). Since everyone is online, people don’t need to rely on their local newspaper or magazine to learn about it. That’s why angles are so important. A writer can explain how a story applies to their specific audience, or add analysis that others might not have thought to include. Other outlets distinguish themselves with style, taking on a more informal or humorous tone to differentiate themselves from “traditional” coverage. This means readers are essentially getting several different takes on the same event, which can be informative, or confusing if they don’t agree. It also shows that many stories are worth covering, even if someone else is doing it. The flip side of that is that it’s easy to piggyback off someone else’s work without contributing anything. Anyone who thinks print media is dead should take a careful look at the sources of some of the digital articles they’re reading. Someone has to actually do the reporting, but that doesn’t mean the discussion stops there. The “all access” scenario described above applies to original news too. Sometimes a story is important enough that it deserves coverage of its own, but that makes it every easy to just repeat the findings without adding anything. Avoiding this requires a similar approach to the omnipresent car unveiling. Work the angles. Tailor the story to a specific audience. Add relevant analysis and insight. Also, don’t plagiarize. Obviously this could be easier said than done, but hopefully this shows that you can come up with some meaningful stuff without direct access to sources. That doesn’t mean these types of articles can replace original reporting, so keep trying to get out there too. Weather can’t stop the Postal Service, but government cutbacks can? As I sit here typing while watching snow persistently fall, I can’t help but think about the people that have to work to make mine and everyone else’s lives happen even when it gets inconvenient. You’ve heard the mail carrier’s mantra, right? They may not be out delivering mail in the Northeast today, but if we were expecting slightly less than two-to-five feet of snow, they probably would be. That’s why I find it so ridiculous that we can’t agree to fund the Postal Service, and that this logistical marvel is cutting Saturday mail delivery because of that. We may be in the midst of a rather heated federal spending debate, but really? Even this is up for debate? Even postmaster general and stereotypical corrupt political appointee Patrick R. Donohue has pointed out, mail may be cheap, but e-mail is free. However, as long as we live in a physical world, we’ll still need a way to move physical objects from one place to another. I’m not being sentimental: until someone perfects Star Trek-like transporter technology, there will literally be no way to send a magazine or a college care package anywhere with a computer. Also, considering that Chinese hackers can seemingly take down the New York Times at will, I’m not too comfortable with online banking. The Postal Sevice is one of those modern conveniences that people take for granted, and maybe that’s the problem. Perhaps, because they sit in front of their computers, tablets, and smartphones all day, and not their mailboxes, they assume they can do without it. Which is why a blizzard happening days after the postmaster general announced an end to Saturday letter service is quite fortuitous. Massive power outages are expected, so all of that hyper-efficient 21st century communication technology will soon be useless. The Internet isn’t sounding so superior right now. 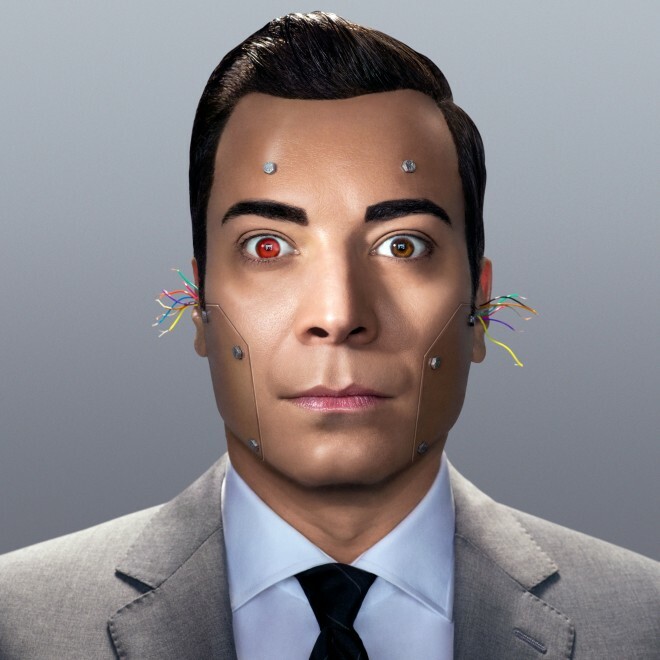 Robotic Jimmy Fallon as published in Wired. Photo by Peter Yang. Apparently, the robots are coming for our jobs. On the cover of the January 2013 issue of Wired is a story about how robots already have the capability to do human work. The robot takeover is even endorsed by Jimmy Fallon. It’s easy to speculate about whether Wired’s Kevin Kelly is right or not, because none of this has actually happened yet. What’s really interesting to consider is what human life will be like when robots start doing all of the work. Let’s start out with a relatively positive side effect. If humans get pushed out of jobs that require a lot of manual labor they could, in theory, be moved up to supervisory or white collar-type jobs that require less actual work. The factory of the future could have robot workers and human managers. That means more people will have more spare time, which could be wonderful for both individuals and society. After all, who doesn’t want more time to do something that isn’t their job. More people could become less specialized, because they would have the time to pursue hobbies and budding talents. They could get a chance to read Crime & Punishment, or to think of an excuse to not read Crime & Punishment. People often say that they are too busy to follow important news stories or political issues closely, but with machine assistance, we could have a more educated body politic. The Internet has, if nothing else, made massive amounts of information available. Sorting through it takes time, though. In the Wired article, Kelly suggests that most displaced workers will become entrepreneurs or artists, starting small companies making custom wares and turning the global economy into Kickstarter writ large. If that does happen, popular culture may become obsolete. It’s already happening in a way: Nearly everyone in the United States knew “Gangnam Style” before most American record executives had even heard of Psy. If popular culture is basically a conversation between produces and consumers of media, then a robot economy could give them a hi-def connection. People won’t need to rely on media giants for entertainment, because small organizations (or even individual artists) will be readily available to produce media that are fine-tuned to each person’s specific tastes. Never having to listen to Brittany Spears again sounds like a good deal, but it could have a negative affect. Pop culture is a bonding mechanism for a large population; its lowest-common-denominator aesthetic reminds us that there are certain basic things that we all enjoy. Without it, we run the risk of cultural echolalia. If we don’t need to acknowledge what we don’t like, it’s hard to get a read on what other people are thinking. It would also make it hard to discover something new, because we’d have to make a determined effort to leave our comfort zones. If the implosion of pop culture means having less in common with the people around us, then having a robotic workforce also means having less people around us. If robots become store clerks or waiters or repair-bots (Kelly says robot therapists and teachers are even possible), we’ll be spending a lot less time around people. Of course, that is already sort of happening in the form of social media. Most people have even given up on phone conversations and text instead. Even dating has fallen into the digital realm. I’m very thankful for the communication social media allows, but I don’t think it can replace a physical meeting. It’s great to be able to talk to a friend in another state or another country instantly, but I can’t imagine pulling that trick off with someone I’ve never met. The same goes for online dating. I’ve given two sites a try and, personally, I think the Internet takes all of the romance out of romance. I spend the time combing through profiles like I’m a Human Resources director; a very unfulfilling experience. I’m not alone either: in a recent “Room for Debate” piece in the New York Times, a group of experts concluded that online dating is no replacement for the real thing. So how else will we meet people when most of our daily interactions are with robots? Some might say that robots will just eliminate the tedious and annoying human interactions from our lives, but that’s a bit of a slippery slope. It’s impossible to eliminate everything unpleasant, irritating, or intimidating from human interactions, because we are who we are. We are as scary, annoying, and boring as we are loving, captivating, and interesting. Maybe that’s why the robots seem like such an attractive replacement.